Upgrade the ambience of your living place by getting this alluring Oil Painting with floral themed artwork which will help you to deck up your walls in a creative way. 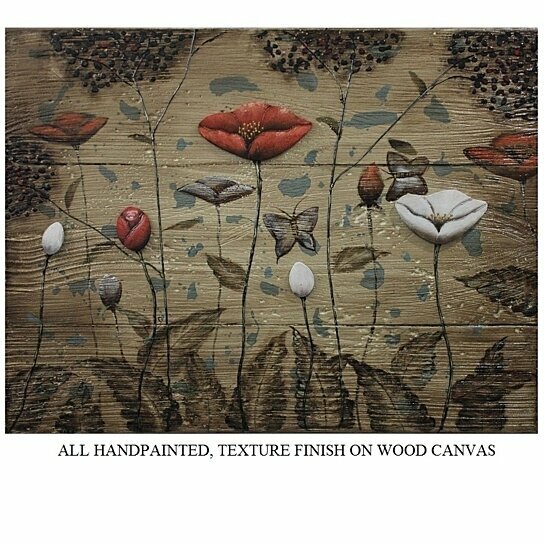 Beautifully and intricately painted this oil painting has the attractive floral design which gives an elegant appearance. In multicolor hues this painting will blend well with any kind of interiors. It is made out of canvas material which appears fantastic. It is durable and even easy to clean and maintain. It can be hung on the wall of your living place as a decorative item which would surely enhance the appearance of your home decor. Your friends setting up their new home can be gifted this attractive and stunning Oil painting which would help them beautify their living place or even it can be gifted on other special occasions. This mesmerizing Oil painting, a well-made work of art is a good gifting option.